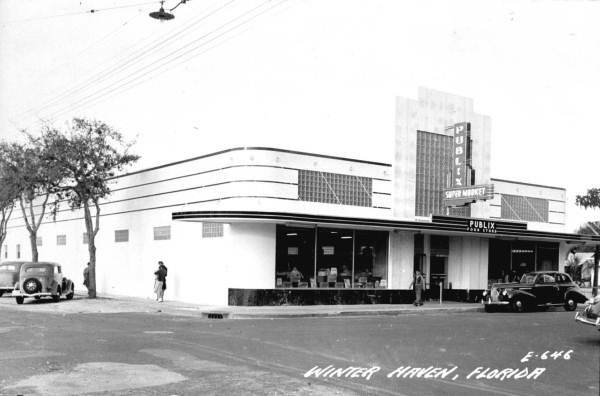 George Jenkins incorporated his first Publix grocery store in Winter Haven on this date in 1930. Jenkins established profit sharing and employee ownership and set standards for cleanliness and customer service. He opened a second store in 1935 and in 1940 mortgaged an orange grove he had acquired during the Great Depression for a down payment on his first full-sized supermarket. According to the company's web site, he equipped the store with innovations never before seen in a grocery store, including air conditioning, fluorescent lighting, electric-eye doors, frozen food cases, piped-in music and eight-foot-wide aisles. In 1945, Jenkins purchased a chain of 19 small All American grocery stores and by the 1950s, began closing the smaller stores and replacing them with modern ones. By 1962, there were 85 stores. By 1969, there were 150. He expanded to South Florida in 1959 and built a 300,000 square foot distribution center in Miami in 1963. More innovations followed as the company continued to expand through the 60s, 70s and 80s.